Lamb of God in Montreal or Quebec City? Inform me about the next events for Lamb of God. Enroll yourself to our priority waiting list for Lamb of God to be alerted when new tickets are available. Filling this form doesn't engage you to any purchase. Lamb of God will be performing in Laval, on May 30th 2018 ! The band will be part of Slayer's Farewell Tour, which will be stopping by the Place Bell. In addition to Lamb of God and Slayer, fans will also get to see Behemoth and Testament. Truly a memorable night for metal fans ! 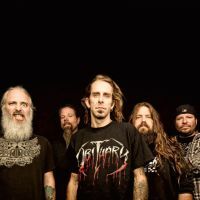 Don't miss the return of Lamb of God, as they perform before Slayer's last show ever in Laval !